How do you write an original musical about the most common subject matter – love? The JEWish Cabaret is giving you the real story of our lives; Complex. Messy. Imperfect. Sexual. Vulnerable. Beautiful. There will be no cliché boy-meets-girl fairy tale here. “Jew you love me?” Is an original musical about love, sexuality and self discovery. It tells the story of all of us through Gabi, a “straight” Jewish girl who ends up finding love in an unexpected partner, Ethan and Alon – a gay couple struggling with the concept of monogamy and hetero- normative love, and Bracha – a religious woman who’s too afraid to explore her sexuality. Join us for an evening full of love. Come get some, there’s enough for everyone. “It is clear that Djemal and Shamai understand the ingredients of a successful musical. There is tension in each of the three major threads, broken up by a number of strong comedic interludes’. Building on the music, there was an overall sense of joy, celebration and positivity throughout which was lovely to see. 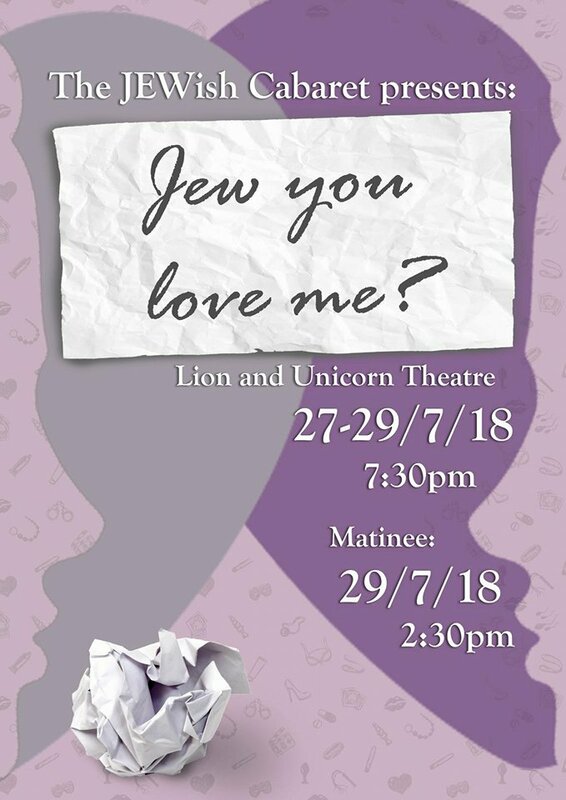 “Religious traditions are brought into question in Jew You Love Me?, a musical that ultimately sends out a message that … Love expresses itself in many different ways, and various forms of sexual orientations and consented relationships all have their place in the modern world, and should be celebrated.